Stop drinking soda… it’s on so many people’s new years resolutions each year. It was on mine last year and I kinda sorta made it. I gave up Dr. Pepper since it was my weakness and I couldn’t stop chugging the stuff. A year later and I haven’t had one since but I have had a few Sprite’s so I haven’t given up on soda entirely, I suppose. If you wonder what happens to your body when you stop drinking soda, I’m going to tell you. 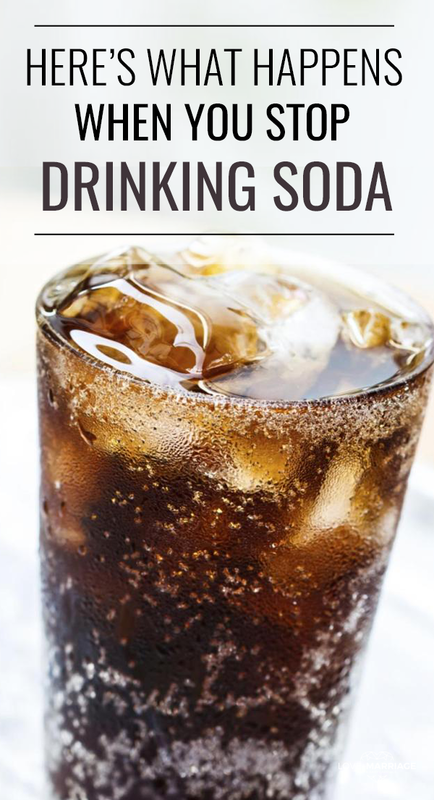 Here are some great tips for quitting soda! Soda is a diuretic, so you probably notice when you drink it you go to the bathroom non-stop. When you stop drinking soda you won’t have to spend quite so much time in the bathroom. Oh, and you’ll likely have less UTI’s as well. We know that caffeine can keep us up after we drink it, but even after it wares off it can still cause insomnia. One problem with soda is that it increases your heart rate and blood pressure. So much so that a Harvard study showed that people who drink soda are 20% more likely to have a heart attack. Seriously! High sugar drinks increase the hormone dihydrotestosterone which leads to hair loss. Less soda, more hair. New research shows that people who drink high sugar drinks like soda have a worse memory and smaller overall brain volume! I don’t know about you, but I’d rather my brain not shrink. There are so many reasons to kick the soda habit, so if you plan to quit, I hope these will give you the boost you need. You can spell “your” correctly?